A STARTING POINT IN YOUR TRAVEL AND ADVENTURES. What does travel mean to you? The beauty of travel is exploring the world through connections and interactions with people. Booking a ticket is easy, but having a great plan helps to have a wonderful travel experience. 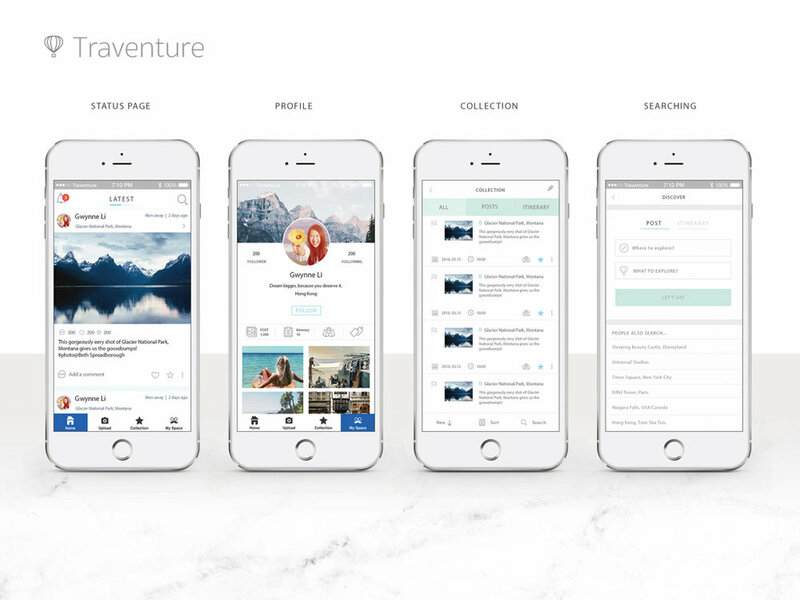 The itinerary planner is a social networking platform for users to explore their travel inspiration and organize them for their next trip. The target users are young adults who want to connect with others when exploring and share their travel experiences. The challenge in this project was to consider the users' habits to create a clean, functional, and joyful user interface by taking cues from the target users with social media experience. This application interacts with users through natural language. As it is an information sharing application, analyzing the user needs and creating clear information architecture is very important in helping to enhance the usability. People frequently share and receive information from social media platforms. The connection behavior of how people use social media is reflected in the use of Facebook or Instagram to read, respond, and interact with the posts uploaded by their friends or their favorite celebrities. After the exploratory stage, people can apply the information to their next trip itinerary.